Revolution Day refers to the 8 March Revolution, that led the Syrian Regional Branch of the Arab Socialist Ba'ath Party to power. The military coup was led by Ziad al-Hariri, a prominent Syrian Army officer, politically independent from the Ba'athist rivals. Originally revolution was planned for March 7, but it had to be postponed due to the government discovered where the conspirators were planning to assemble. Revolution of 1963 is often viewed as a simple military coup, but social and economic events also led to the revolt. The revolution was led by anti-oligarchical alliance, that consisted of radicalized lower middle class, peasants, strategic members of the officer corps and marginalized minorities. The 8 March Revolution is a very important event in the history of Syria. 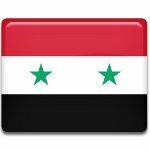 It changed Syrian government and life of the Syrians, that is why Revolution Day is a public holiday.